T-R PHOTO BY THORN COMPTON - The Marshalltown boys bowling team poses with its three trophies won from the state meet in the last four years. Pictured are, from left, senior Kamrin Chizek, senior Carson Potter, junior Lucas Kramer, junior Logan Proffitt, freshman Demitri Ferneau and senior Ray Wiegand. 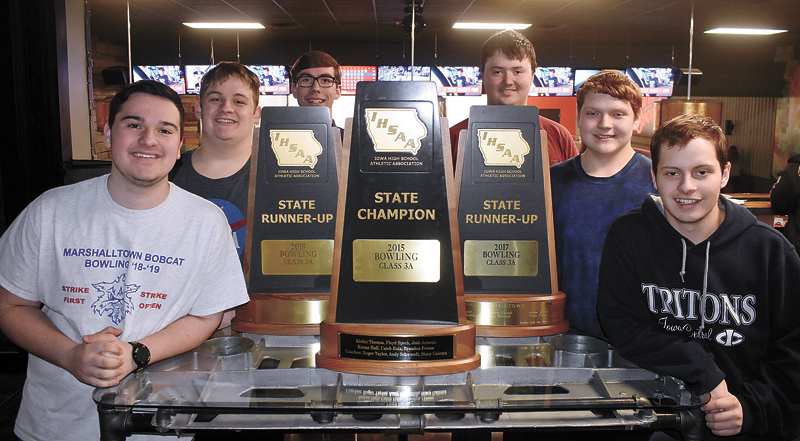 That number has been stuck in the heads of the Marshalltown boys bowling team after missing out on its second state title in program history a year ago. After a tough start to the individual series, and after trailing by more than 100 pins after the third Baker game the Bobcats nearly fought back to claim the state crown, but they fell shy by just eight pins to Southeast Polk. MHS senior Ray Wiegand said there hasn’t been a day since last year’s state meet where that hasn’t crossed his mind. A year later the Bobcats are back in the state tournament for the eighth time in nine years and for the fifth-straight year since 2015, and they have a mission to push past the two-straight runner-up finishes of the last two years and finally claim a state title. Marshalltown head bowling coach DJ Wilder, who has guided the Bobcats to state in his first season at the helm, said he has never shied away from bringing up the team’s past failures, because he had solutions. It was tough for Wilder to step into the shoes left by the previous administration, who had helped Marshalltown to four-straight state appearances with a championship, two runners-up and a fourth-place finish to its credit. As the season progressed, Wilder was able to get a little more hands-on with the guys. Due to Wilder’s guidance and the pure talent on the team, Marshalltown heads to the Class 3A State Bowling Meet on Wednesday at Cadillac Lanes essentially in a class of its own. The Bobcats boast the top match score average in the state, regardless of class, at 3,187.7. They have the top individual game average in the state, regardless of class, at 213.3. They also have the top Baker game average in the state, regardless of class, at 210.9. Wilder said part of that success on the lanes has come because of his emphasis on spares. That attitude of flushing the last throw and moving on is something that senior Kamrin Chizek said the boys have had to work on, but it’s essentially second nature to them now. Nothing has exemplified that more than the performance the Marshalltown boys have had in the postseason. First, last Wednesday in their district meet, the Bobcats won going away with a team score of 3,230, the second-best qualifying score in the state. Wiegand, Lucas Kramer, Demitri Ferneau and Logan Proffitt placed 1-4 individually, while Wiegand’s 558 was the top individual series in the state, and Kramer’s 455 also qualified him individually. A day later at the CIML Iowa Conference meet, Marshalltown avenged one of its two losses on the year by winning their conference tournament over Waukee with a 3,361, more than 300 pins higher than the Warriors. After a month of January where the boys lost two meets for the first time in at least the last three years, there could have been some concern about if the team was ready to compete at the state level. Wilder said there were no such thoughts. There hasn’t been a better bowler in the state in the last week than Wiegand, who also had a 279 in his first game in the CIML Iowa meet, and Wilder said it’s the continued haunting of last year that is driving him forward. Ray has been the vocal leader for most of the season, and Wilder said Kramer matches Wiegand in many ways, but the other two seniors in Chizek and Carson Potter also have their impacts on the team. Potter will be finishing his career as a three-time state meet bowler and a contributor on four state-qualifying teams, something he said he’s proud of regardless of how Wednesday turns out. If Wiegand is the ‘A’ bowler on the team, then Kramer fights for the title of ‘1A’. He has been consistent throughout the season, coming in as the bowler with the 22nd best average in the state, regardless of class, and he was the state runner-up individually a year ago. He said taking the individual honor was an odd combination with the disappointment of the team finish. While Wiegand, Potter, Chizek and Kramer were both returners from a year ago, Ferneau and Proffitt have both stepped into roles vacated by seniors. Ferneau has been a revelation, as a freshman he is 13th in the state in average series and he won the CIML Iowa meet individually against some stiff competition, including from his own team. 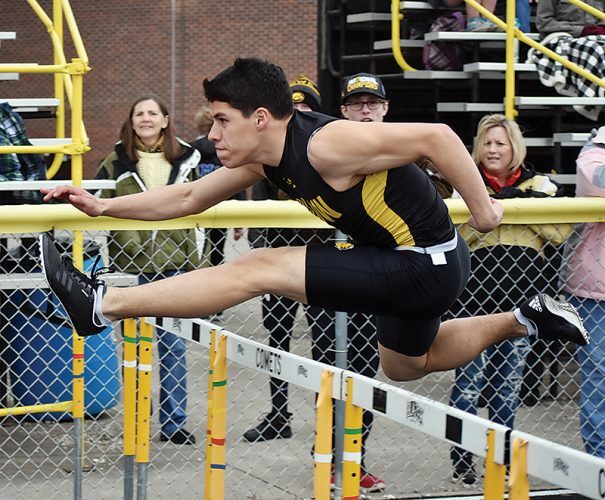 What sets Ferneau apart from other freshmen, Wilder said, is his ability to keep calm and cool throughout a meet, not letting anything get him too amped up or too down. Ferneau said there’s nothing special he does to make him so stoic, it’s just the way he is. Proffitt had to fight for his spot on the varsity roster, and at the beginning of the year he wasn’t listed in the final six spots. But he kept persevering, and soon enough he wasn’t just a regular on the varsity squad, he was a major contributor, even finishing in the top four at the district meet. 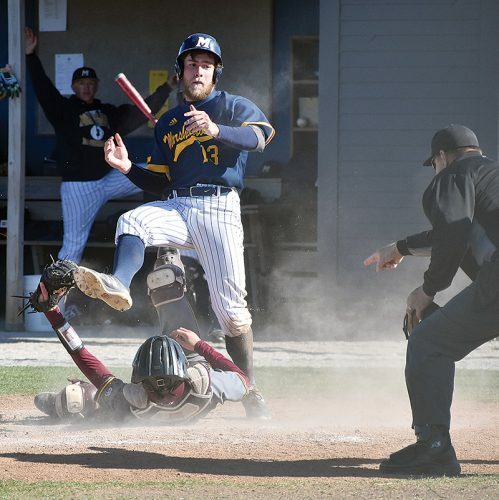 “I kept telling myself I need to keep working harder and harder so I could get onto varsity this year, and none of the guys even expected me to make varsity this year, so I think that’s pretty cool for myself,” Proffitt said. The growth Proffitt has shown wasn’t something small, and as he said even his teammates took notice. Wilder went so far as to say Proffitt could play a big part in his team coming away with a state title on Wednesday. Despite how his team has looked in recent weeks, Wilder said that doesn’t make them unbeatable. In fact, the Bobcats don’t have the top qualifying score, that belongs to Cedar Falls and its 3,357, a full 127 pins higher than Marshalltown’s mark. While other teams have ability, Kramer said what sets his team above the others is that pain from missing their shot a year ago, and their desire for redemption. Due to the potential for bad weather, the 3A state bowling tournament was rescheduled to start 11:30 a.m. Thursday in Waterloo at Cadillac Lanes. The Marshalltown High School boys bowling team will hold a pep rally and state tournament send-off on Tuesday at 4 p.m. at Wayward Social. The Bobcats are headed to the Class 3A state tournament for the fifth year in a row. The tournament will be held at Cadillac Lanes in Waterloo starting at 11:30 a.m. Thursday.